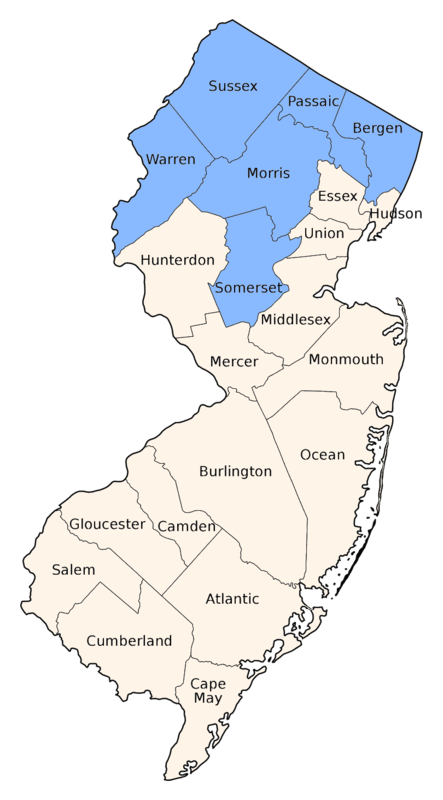 Found in North Jersey, primarily in the Ridge & Valley and Highland provinces. May be found in feeding swarms away from water. Breeds in squishy ponds, small lakes and slow streams. Intermediate individuals must be ID'd by examination of the cerci under magnification. Many books tell you that you can feel small bumps on the cerci of Canada, but Green-striped cerci feel rough as well, although the bumps are smaller. 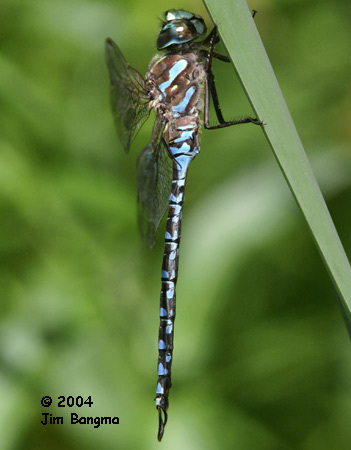 Patrolling Canada Darners do not look as bright as Green-striped. 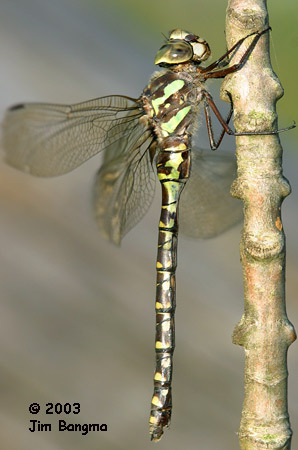 Very similar to Green-striped Darner. 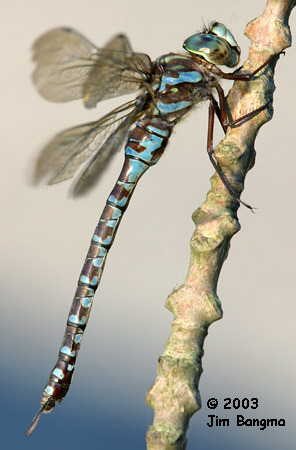 If the anterior lateral stripe is all blue, the ID is fairly straightforward, but in as many as 10% of New Jersey males, it is partially or completely green, similar to Green-striped. 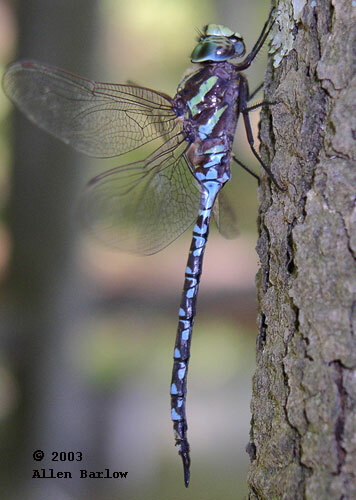 In Canada Darner, the notch in this stripe usually forms a 90° or sharper angle. 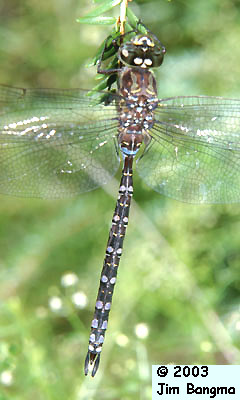 Canada usually shows a small spot between the lateral thoracic stripes, absent in Green-striped. Unfortunately, some male Canadas, usually the ones that most closely resemble Green-striped, lack this spot as well. Intermediate individuals must be ID'd by examination of the cerci under magnification. Many books tell you that you can feel small bumps on the cerci of Canada, but Green-striped cerci feel rough as well, although the bumps are smaller. Patrolling Canada Darners do not look as bright as Green-striped.